Autodesk strengthens it’s web-based 3D presence and hints towards 3D Printing market. Joining the 123D App family is Circuits.io a web-based and connected community for designing and simulating electronic circuits and will now be branded Autodesk 123D Circuits. Not only can you do PCB design, you can order multi-layer PCB’s from the website too. 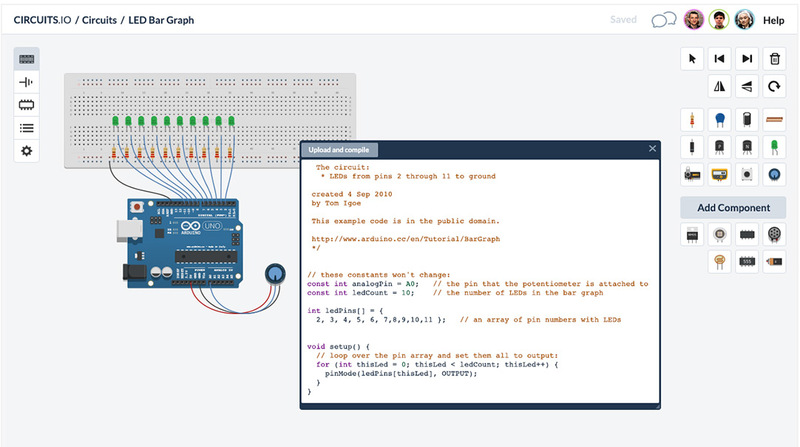 Other features are a breadboard editor with real time simulation to test your Arduino code, Schematics Editor, PCB Editor and Real-time collaboration with the community. CEO of Autodesk, Carl Bass, has also hinted in getting into the 3D Printing market too with the margins on consumables being from 100x to 200x, so let’s see who they buy next! Autodesk’s 123D Apps include 123D Design & Tinkercad for 3D Modeling, 123D Catch to turn photos into 3D models, 123D Make which turns 2D slices into 3D, 123D Creature for 3D characters and 123D Sculpt for tactile modeling on your iPad. All apps are free to use and you can pay to get designs fabricated by way of 3D Printing, CNC, Laser Cutting or a 3D Holographic Print.